It’s no laughing matter: 1/14 deadline…time is running out for LAGBAC and Second City! Medical/Legal Holiday Mixer – Details Here! 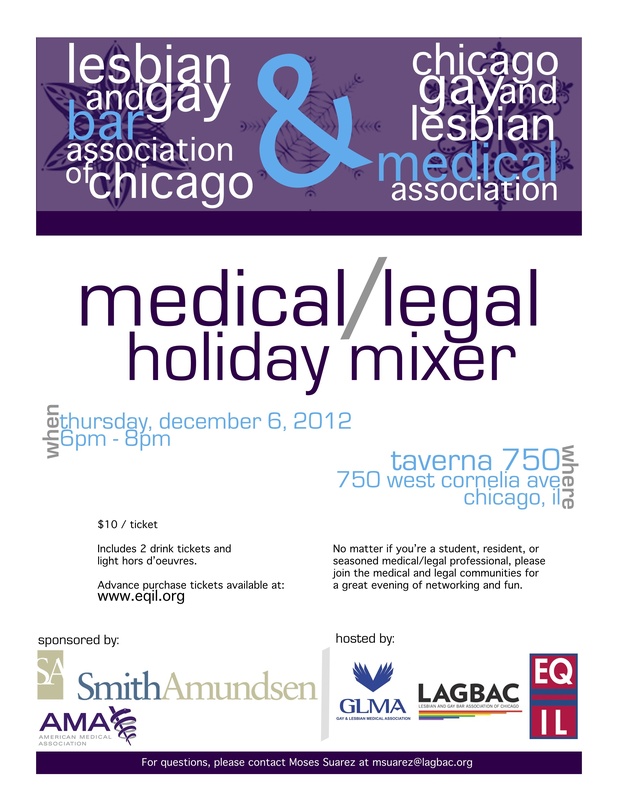 Join us on December 6 for the Medical/Legal Holiday Mixer at Taverna! Your bubbie would want you to go. LAGBAC Upcoming Events: “Bill”, Mix, Laugh! The Billable Hour – mingle downtown with LAGBAC!